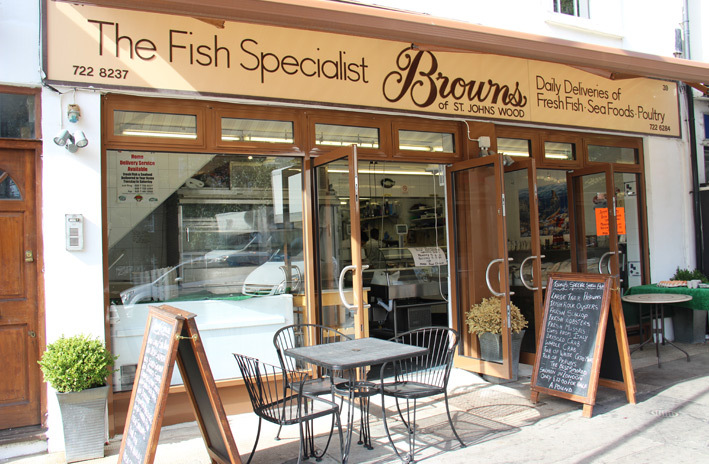 Brown’s of St Johns Wood is a high class fish and seafood specialist. You will only find the freshest and highest quality fish on display and in our shop. 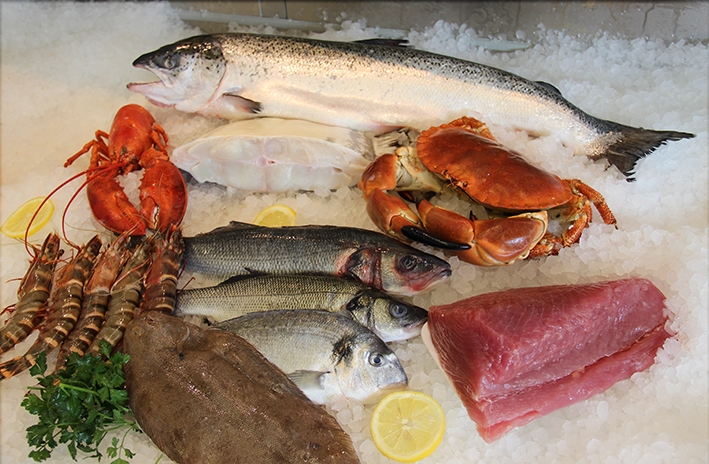 We have daily supplies of fish from around the world and the UK coasts. All of our fish is sustainably sourced. Brown’s is a family run business established in 1950, and is now run by third generation owner Justin Brown. All our staff are passionate and highly skilled fishmongers. Who are dedicated to providing you with the highest possible customer service. We have fantastic fresh fish displays featuring Wild Scottish Salmon, Wild Scottish Halibut, Tiger Prawns from Dubai, Tuna from France and Wild Sea Bass. We also have a shellfish display featuring Scottish Lobsters, Cornish Crabs and Irish Oysters that can be prepared by one of our experts. We have Sashimi grade Salmon and Tuna. Our thinly cut Wild Scottish Smoked Salmon is of the finest quality and hugely popular with our customers. All of our fish can be personally delivered to your door.